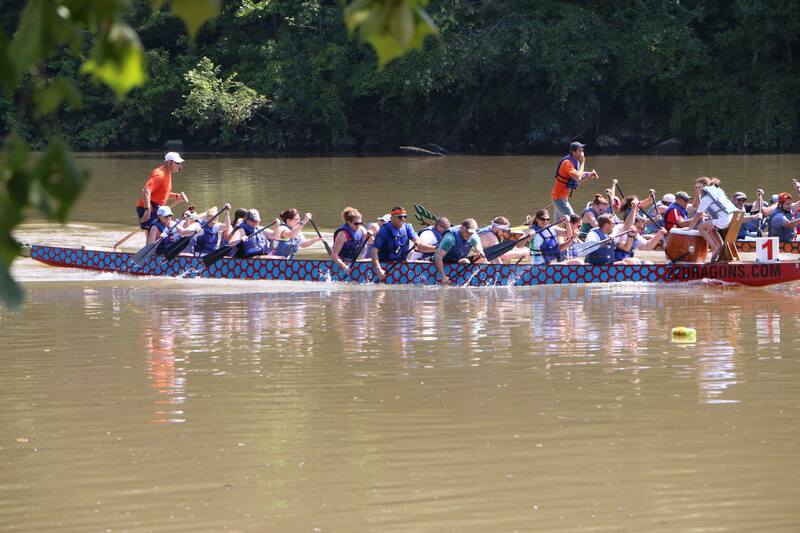 Team VSC/VSCR came together for a great cause to compete in the 4th Annual Waggin' for Dragons charity boat race, held last Sat., August 12th, at the Front Royal Country Club, with all proceeds going to support the Humane Society of Warren County. Despite being short on rowers, the team pulled together and just missed Third Place, which we earned in last year's competition. We DID beat last year's fastest time, which is definitely something to celebrate! This event raised $50,000 to help homeless pets, and we're very proud to have been a part of it. A special thanks to our awesome "Drummer" Alex Wentzel, who also doubled as cheerleader with younger sister Addy.